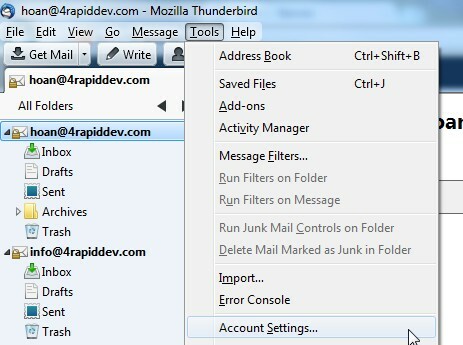 Thunderbird will check for new emails in every 10 minutes by default. However, if you’re receiving a lot of emails per minute/hour, 10 minutes may become a delay as you want to receive your emails as quickly as possible. 1. 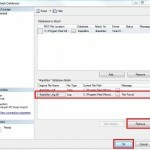 Go to Tools => Account Settings on the Thunderbird menu. 2. 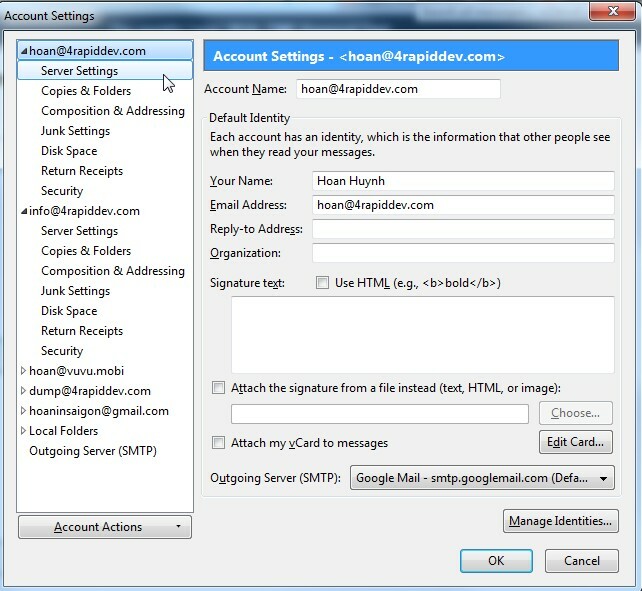 In the Account Settings box, select Server Settings of an email account you want to adjust on the left panel. 3. 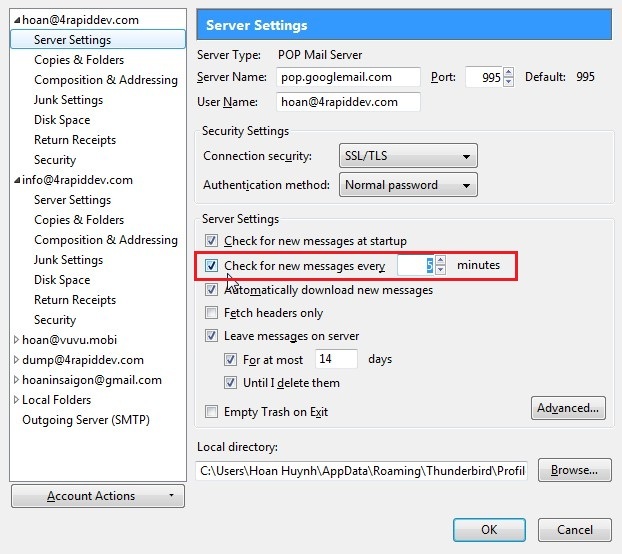 On the right panel, ensure that the Check for new message every … minutes is checked and enter a number of minutes (let say 5 minutes) you want to ask Thunderbird check & download incoming emails. After that, click OK button to make the change affected.